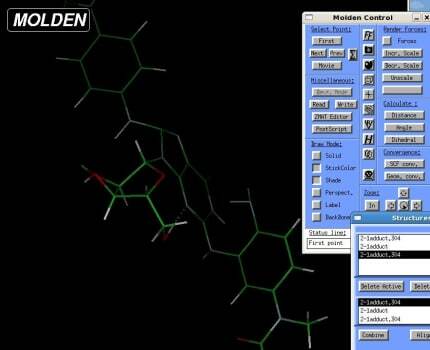 Molden is a package for displaying Molecular Density. Molden is a package for displaying Molecular Density from the Ab Initio packages GAMESS-UK , GAMESS-US and GAUSSIAN and the Semi-Empirical packages Mopac/Ampac, it also supports a number of other programs via the Molden Format. Molden reads all the required information from the GAMESS / GAUSSIAN outputfile. A duly signed copy of the license agreement and an invoice will be returned by mail to licensee.